This elusive bird of prey is a skilled hunter, tenacious predator and national treasure. can only say that it is a thrill to see these birds so close in the wild. A Northern Goshawk (Accipiter gentilis) sounding an alarm call near the nest. Nez Perce - Clearwater National Forest. 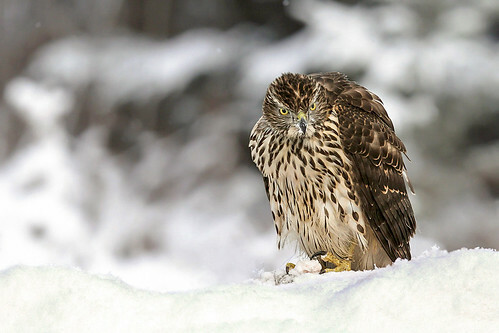 The lushest forests are the stronghold of the goshawk, who, through carefully planned ambushes, hunts a wide range of prey, pouncing on them accurately and relentlessly. Exceptionally well-suited to the dense forests, it perches out of sight among the high branches, from where it surveys every detail of what is happening below: it is not known as the Ghost Hawk for nothing. 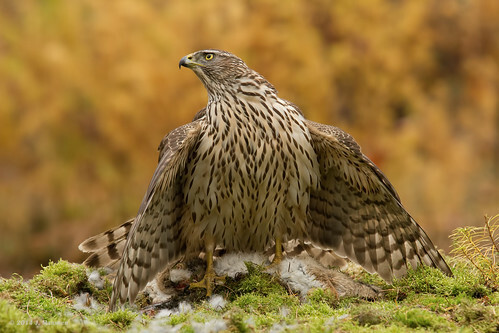 An adult goshawk rarely fails in attack, experience teaching both selectivity and precision: its own brood depends on this for survival, needing a continuous supply of food during its first few months. 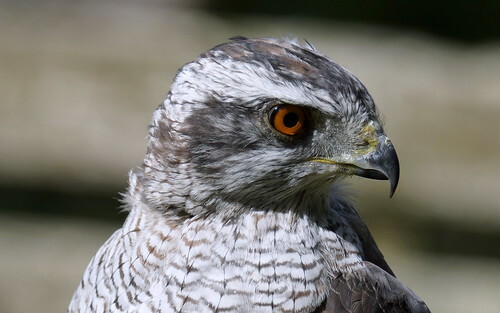 The Goshawk’s eyes have 300,000 photoreceptor cells per square millimeter conferring on it the most extraordinarily precise eyesight. Nothing escapes the searching gaze of the ghost of the forest. This mature female has to take food to her nest, but knows she must wait patiently for a young and overconfident squirrel to go to ground, neglecting for a moment its rear. With its accurate flight between branches, its strength and its temperament, the goshawk is the true master of the forest.